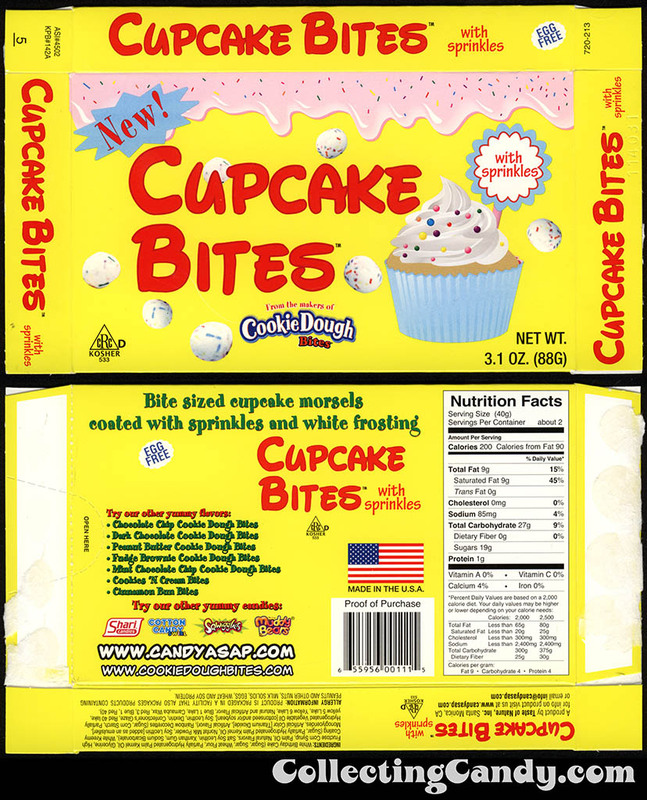 ← Brach’s 1953 Fall & Christmas Candy Catalog! 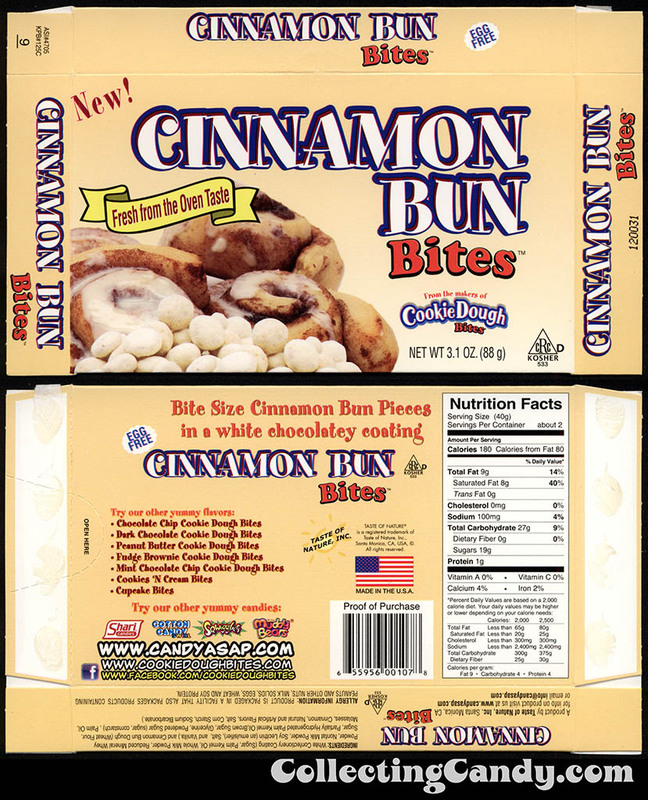 New Moon Pie Bites! 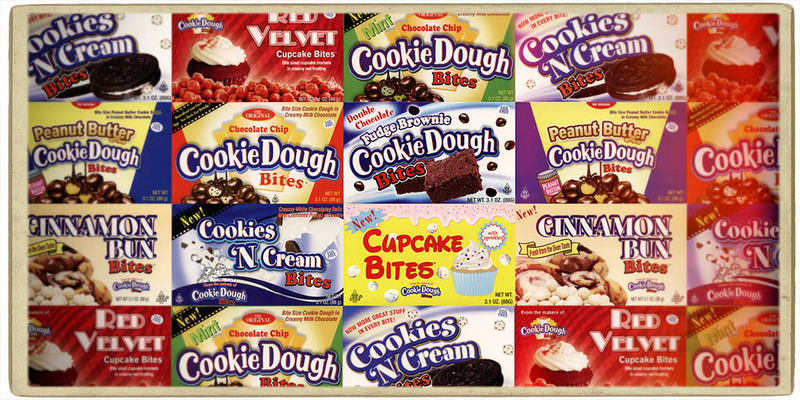 Plus Some History on the Full Cookie Dough Bites Lineup! 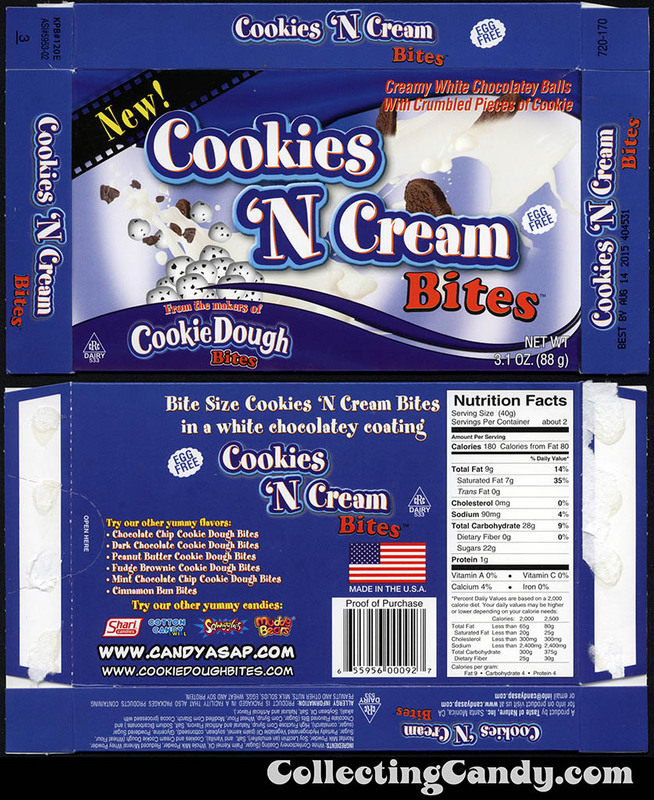 The folks who produce Cookie Dough Bites are rolling out their latest creation across the country; a “Bites” version of the classic treat, Moon Pies! 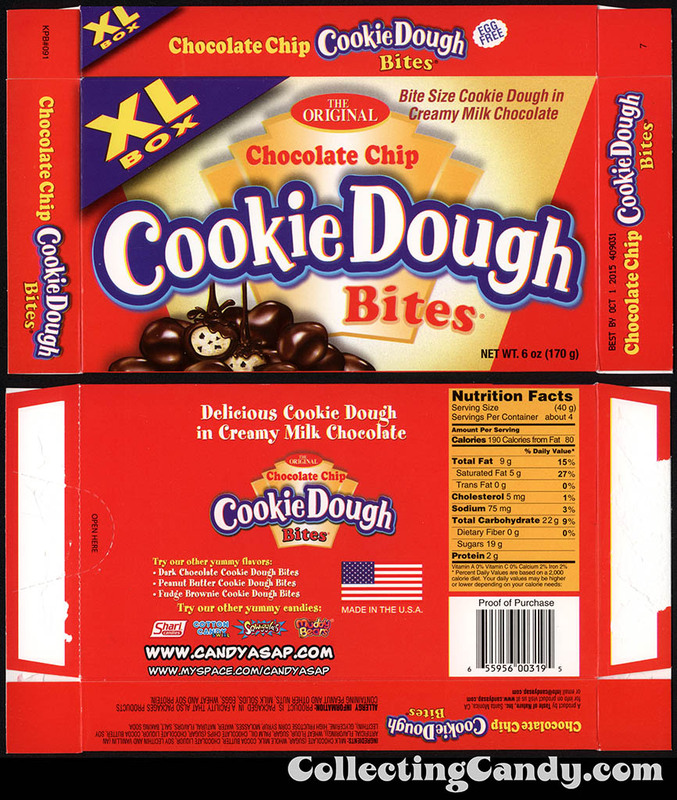 Today I’m going to be covering those as well as the entire Cookie Dough Bites line along with a little history on the brand. 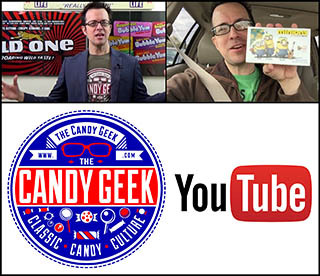 Make the jump to check it out. 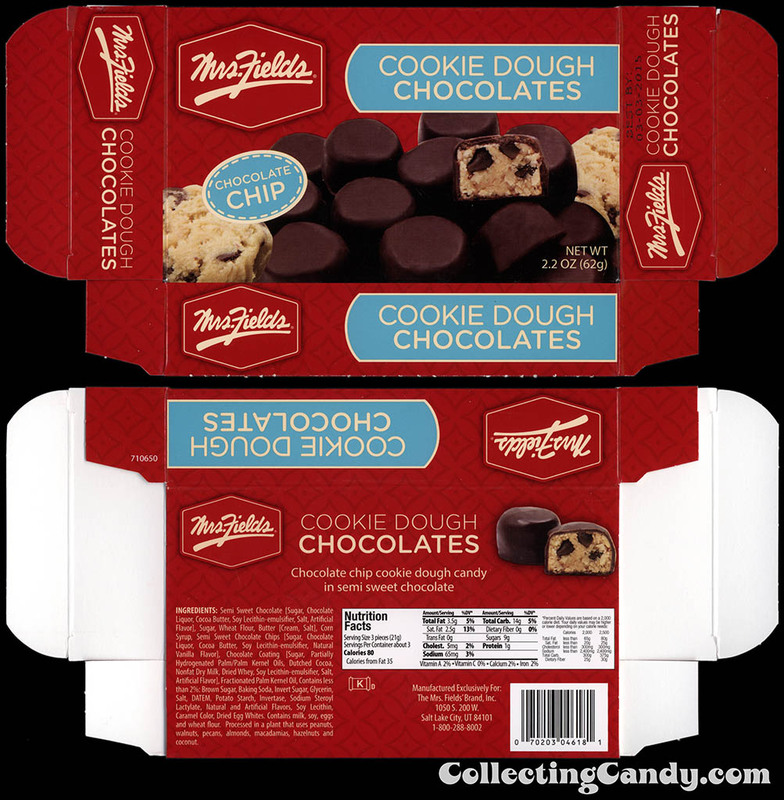 Cookie Dough Bites are a relatively recent entry onto the confectionery landscape. 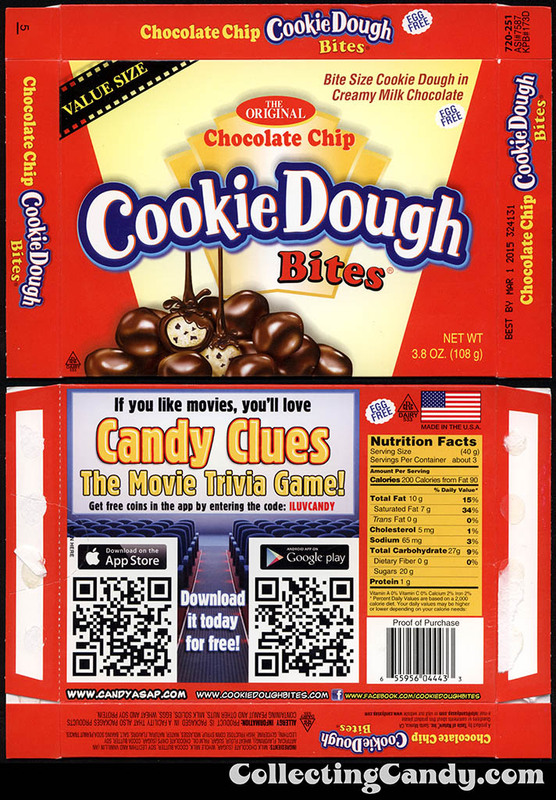 First launched in 1997, they quickly became a favorite at movie theaters and soon everywhere else. 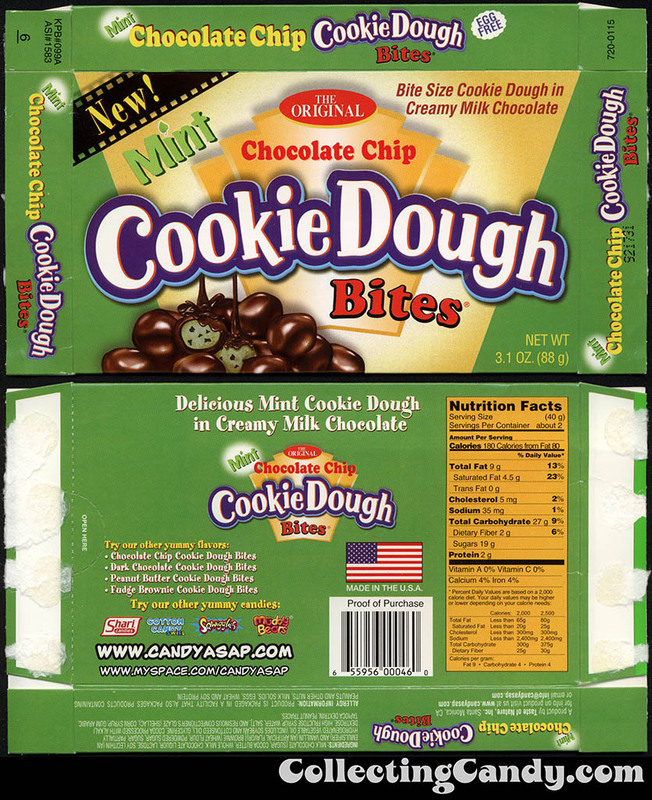 Cookie Dough Bites popularity grew which eventually led to other flavors and extensions for the brand. 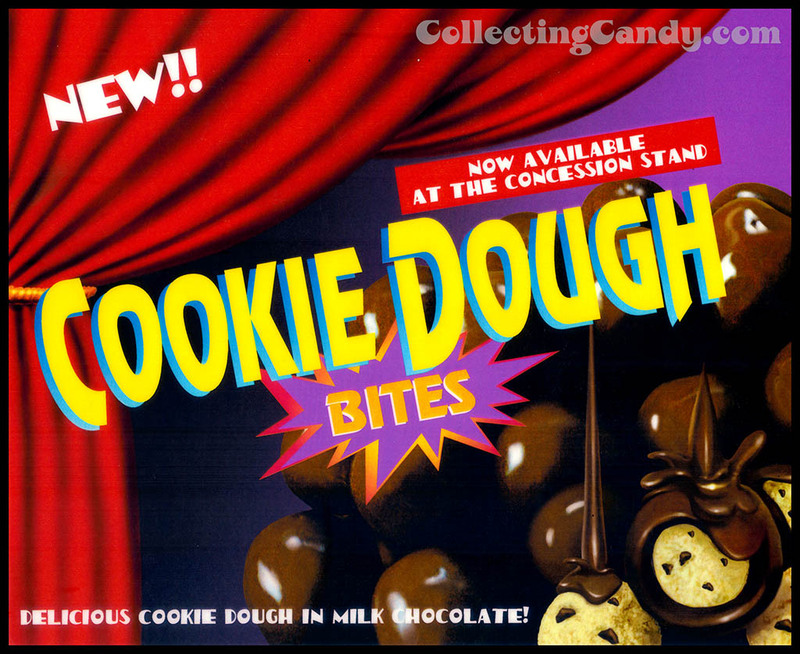 I’ll get to the full Cookie Dough Bites lineup in a bit but first I’d like to feature the newest addition to the Bites family, Moon Pie Bites! 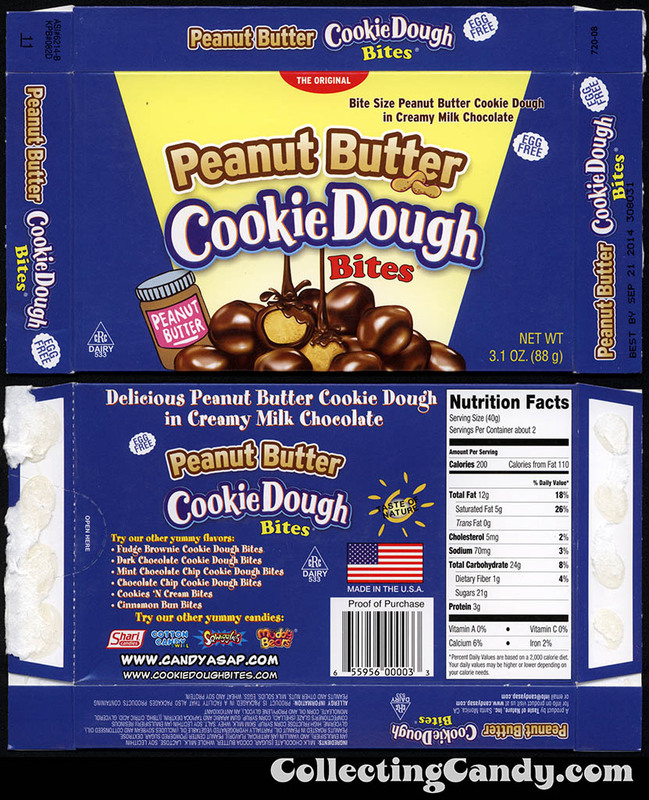 The Moon Pie brand has been around nearly a century, so it’s great to see this timeless classic joining forces with the contemporary classic Cookie Dough Bites brand. 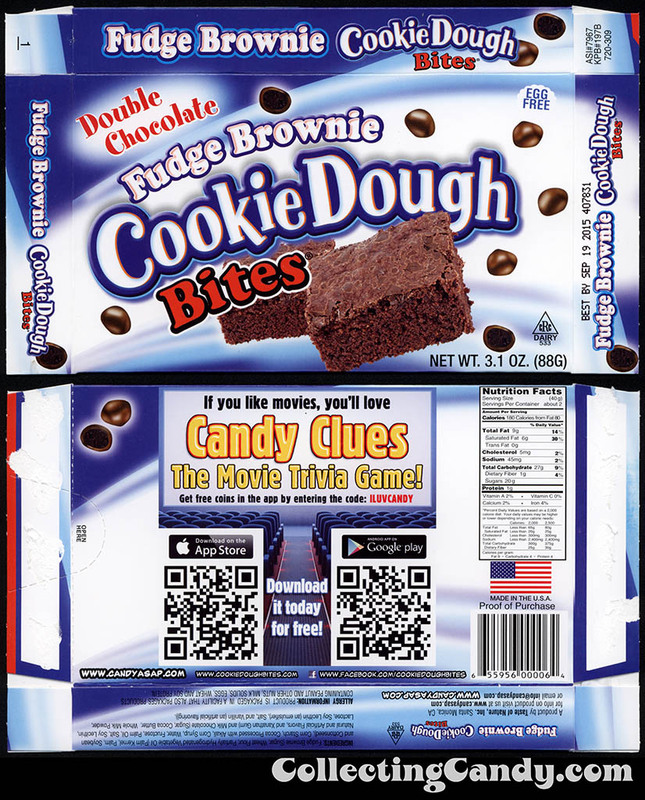 It’s an awesome combination and I can attest to the fact that Moon Pie Bites are delicious. 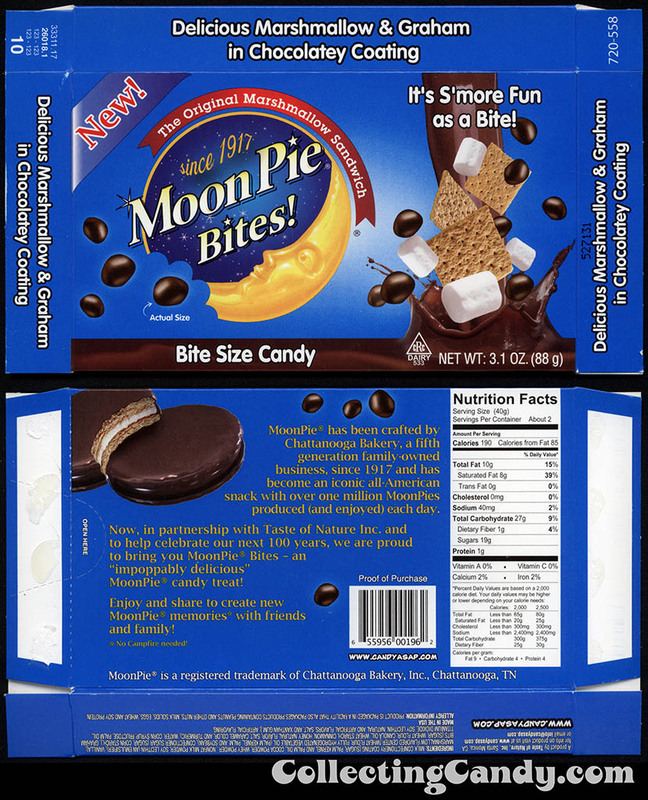 I really enjoyed them and I feel that flavor-wise, they nailed what makes a Moon Pie a Moon Pie. 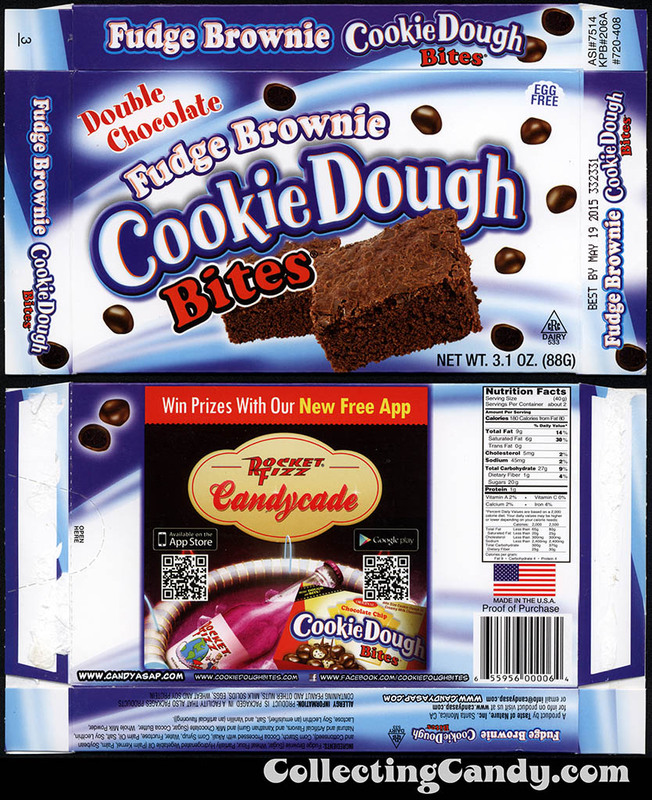 I believe this marks the first time that the Cookie Dough Bites folks have licensed another brand for their Bites lineup, so this is a bit of an historic occasion. As you can see, in just the last few years alone, Cookie Dough Bites have been offered in various sizes as well as box versions featuring different games and promotions. 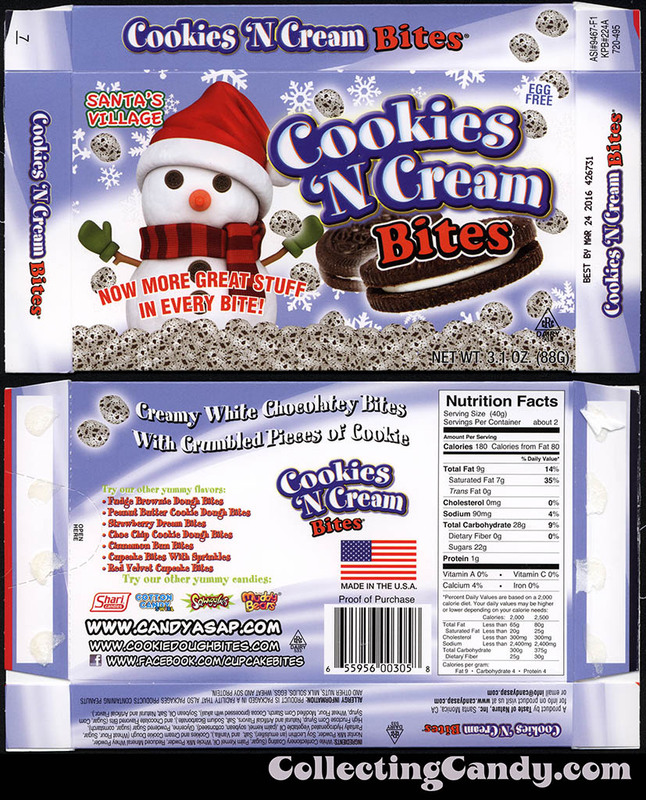 I really dig that holiday box with the snowman. What can I say? I’m a sucker for Christmas decorations! 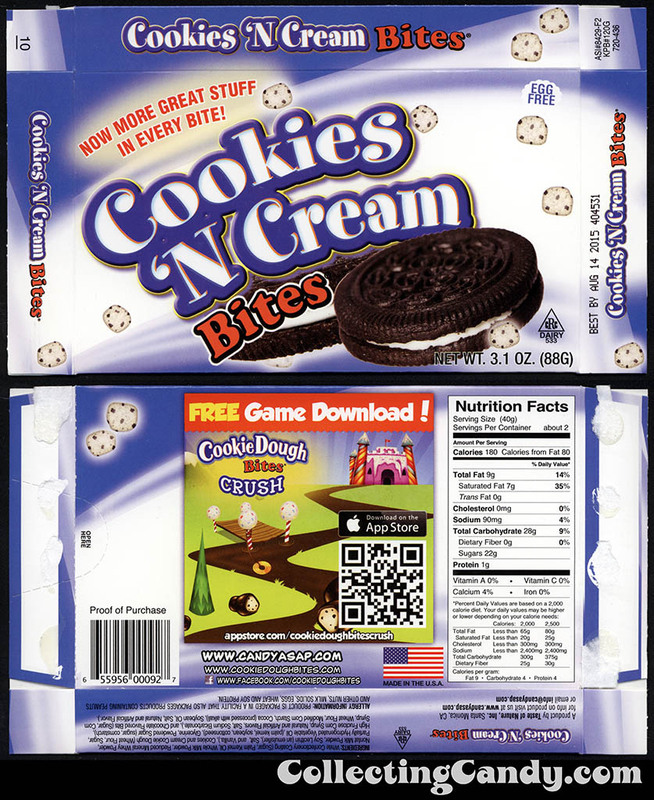 Next up are a trio of Bites brand extensions based around non-cookie baked goods. 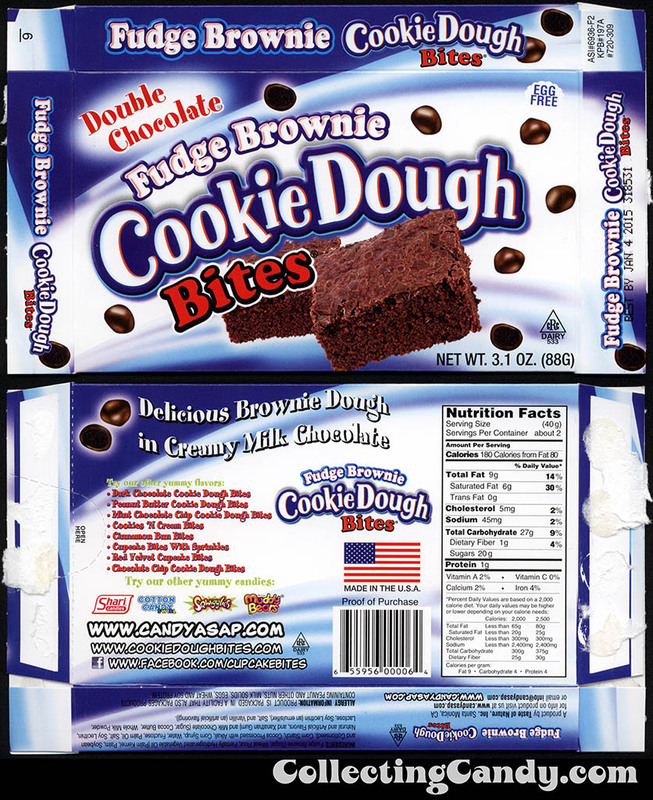 That’s everything I’ve got to share with regard to the Cookie Dough Bites official lineup. 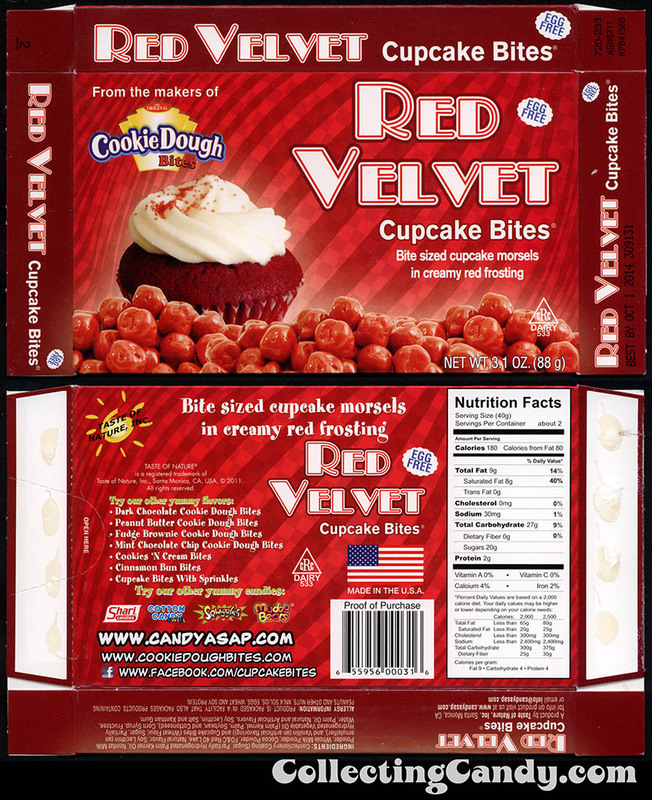 I do know of two products that Taste of Nature has produced which I’ve not been able to find examples of to show and those are: Dark Chocolate Cookie Dough Bites and Strawberry Dream Bites. 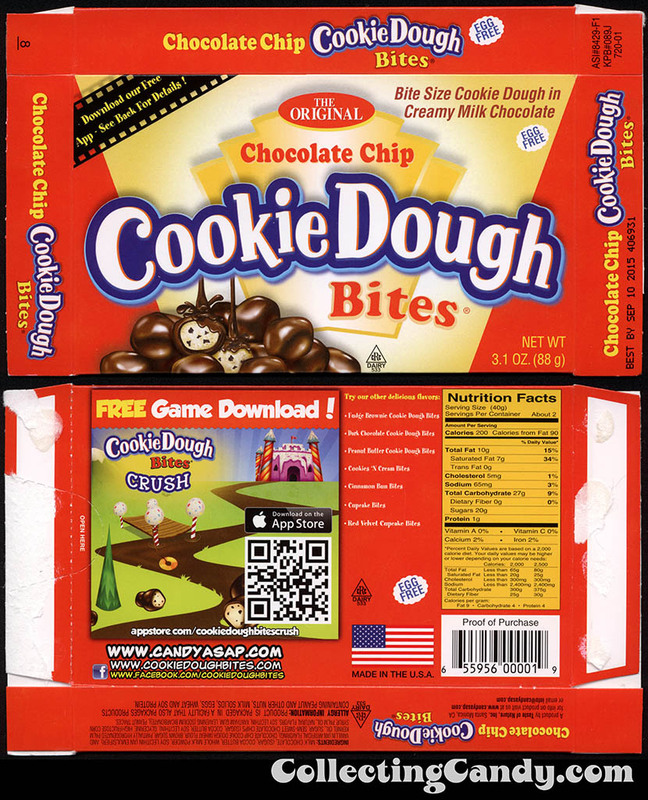 If/when I track them down, I’ll come back and post them here. That’s the end of the official lineup, but I do have two more items to share. 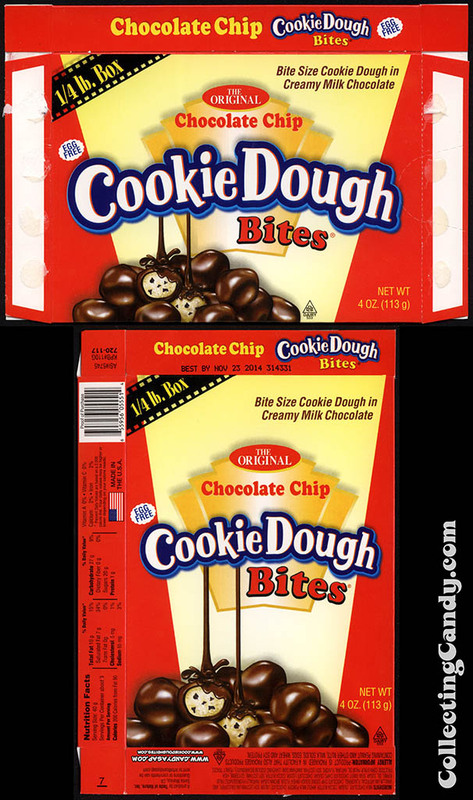 You see, anytime someone has success with an innovative new product like Cookie Dough Bites, other companies will inevitably work to replicate that, or produce their own versions of it. It’s just the way of business. 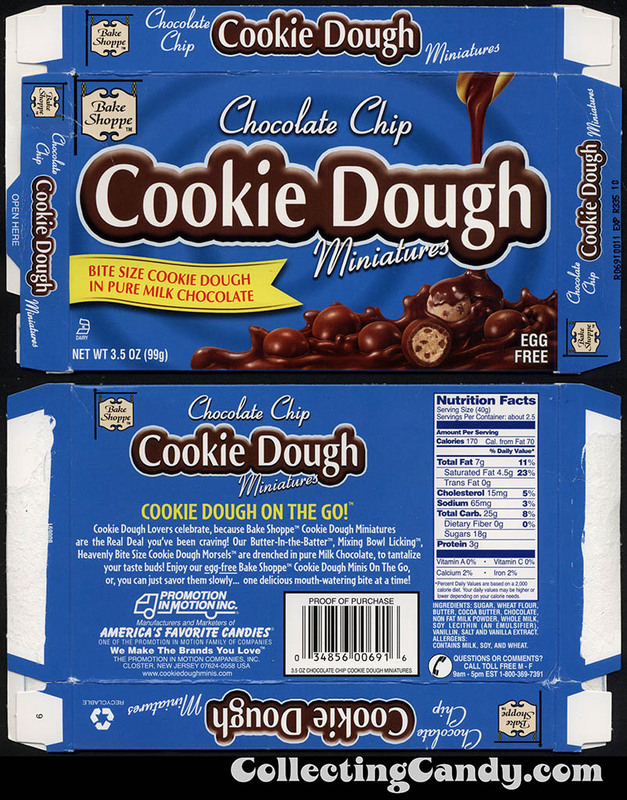 So I have a couple similar cookie dough products to share from other companies. 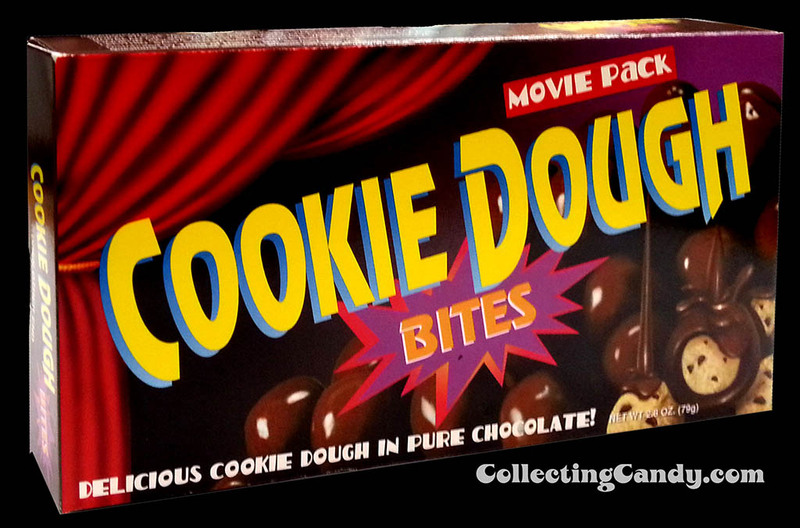 And that’s everything I’ve got to share on the contemporary classic that is Cookie Dough Bites. 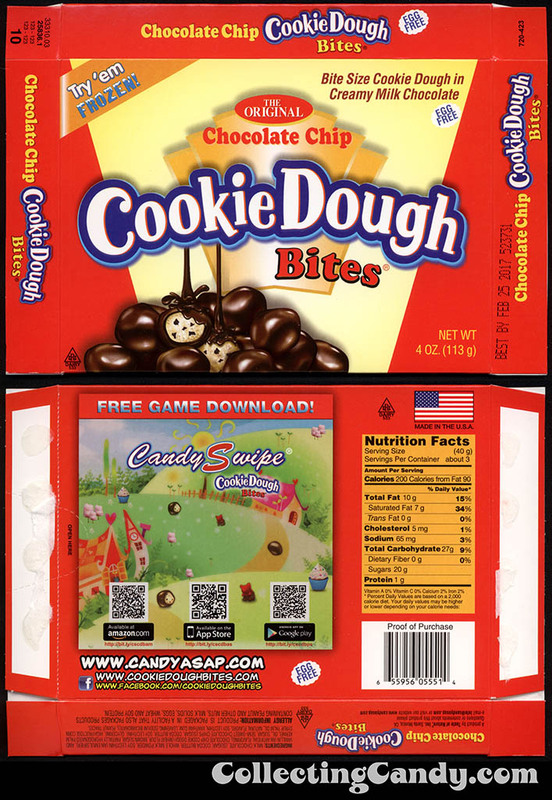 And while they’ve only been around a relatively short time, their universal appeal and success makes it likely that Cookie Dough Bites will be delighting consumers for generations to come. 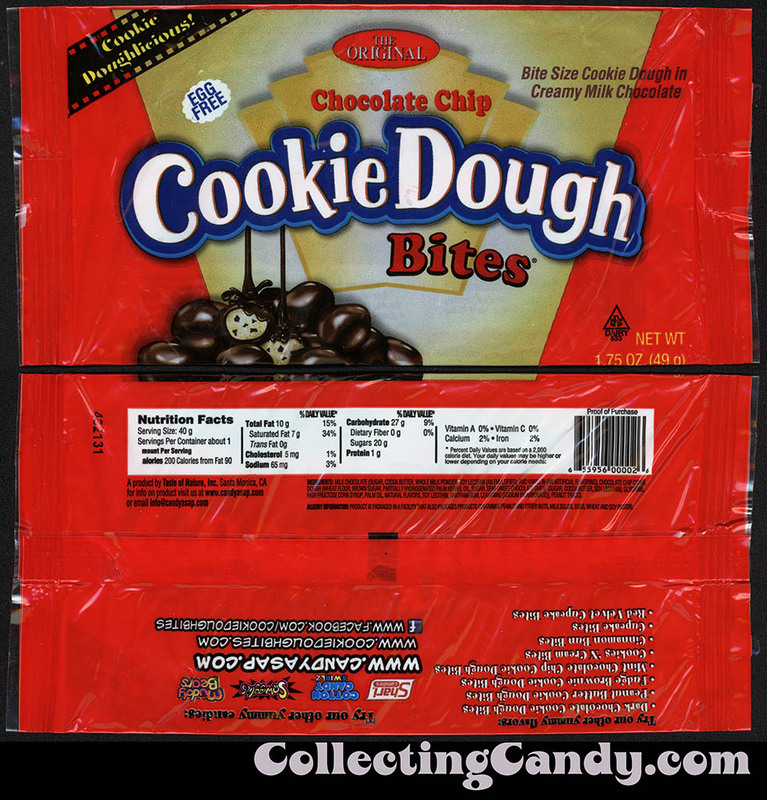 This entry was posted in 1990's, Boxed, Chocolate, Christmas, cookies and tagged bite-sized, bites, candy collecting, candy collection, candy collector, candy wrapper collection, candy wrapper collector, collectible, collecting candy, confectionery, confections, cookie, cookie dough, packaging, packaging design, sweets, vintage candy wrappers, wrapper. Bookmark the permalink.